Earlier last month I got a sweet email from Virginia (from Gingercake blog and patterns), asking if I would like to sew one of her patterns for the Holidays Gifts Sewing Series. What she didn’t knew was that we were already fans of Gingercake sewing patterns. The Crayon Art Folio was one of the first patterns I did for my younger kids – perfect for travelling and for keeping younger kids entertained while waiting in lines, I had quite a lot of fun picking the fabrics for these. Obviously, the ones I did for my kids have been used to exhaustion and are now ready for “retirement” (I might need to sew them some new versions soon). I’ve also pinned the Love your Lunch Box pattern a while back, but still haven’t found the time to actually do it (but I will). So, needless to say, I was so happy to get a chance to test yet another of her patterns. As my kids loved their Crayon Art Folio so much and they are always jumping at a chance to get more involved in my sewing, I asked them if they like to select one pattern from the Gingercake portfolio for me to test. As soon as I said these words, I knew there could be trouble ahead – asking three kids to agree on one pattern looked like an impossible mission. 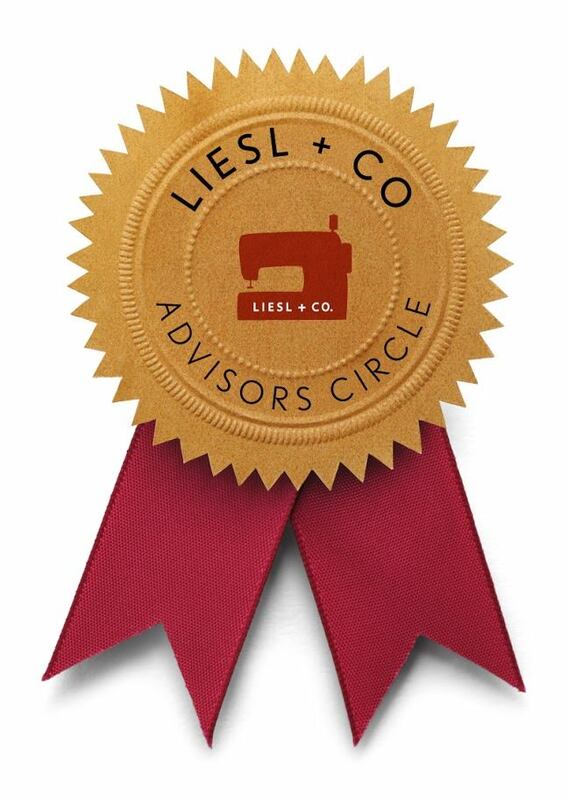 After this first (group) decision, I knew that this was going to be a collective sewing challenge. So, to make a long story short, let’s just say that fabric and button (eye) selection was made by my younger kids (5 and 6 years-old). (Lady-Elephant was made with Liberty tana lawn (Betsy) and pink linen and Mr-Elephant was made with blue gingham and a pirate print from the Out to Sea collection from the wonderful Sarah Jane). Luckily for all of us, this is a super simple project perfect to be made with smaller kids (I did all the cutting and pining and tried to sew the trickier parts like the buttons and closing the elephant): They did the actual sewing (supervised by me, of course) as there are mostly straight lines to sew (the outcome is not as perfect as I would like, but at least both elephants are so cute). They had the time of their lives stuffing their Lucky Elephants – I got to clean all the mess after they finished it, but it was so worthwhile. The pattern has great step-by-step illustrated instructions and you can actually do it in a couple of hours (even if, like me, you have some extra help …). I’ve already been told that “we” now need to complete their Elephant family: baby elephants and a cute elephant wardrobe was now requested! (each elephant has a special place in their bookshelf and sleeps with them at night). 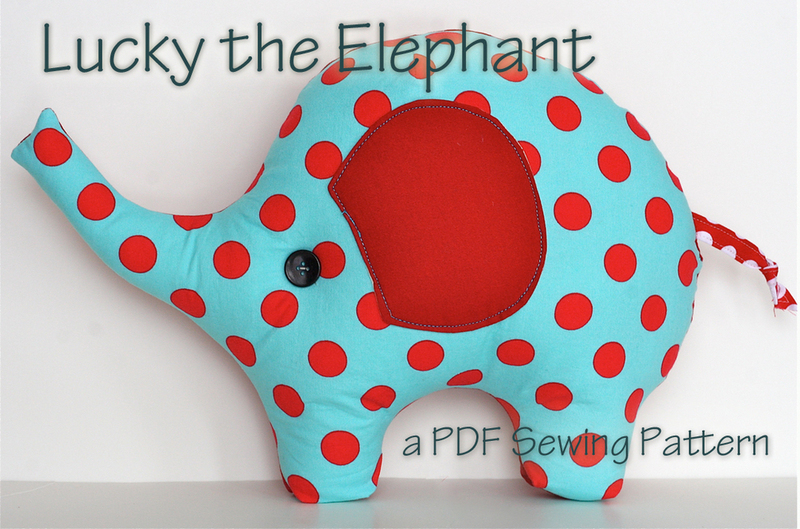 If you wish to win a copy of Lucky, the Elephant (pdf sewing pattern), just leave me a comment bellow. Virginia has kindly offered to send a copy of this pattern to one lucky winner (wouldn’t this be a great gift for the Christmas season ahead ?). The giveaway will be open until next Friday (November 8th). The winner will be selected randomly and announced next Sunday. This is just the cutest elephant. My two would love making these with me too! I would love the pattern to make a couple of littles close to me something snuggly for Christmas! 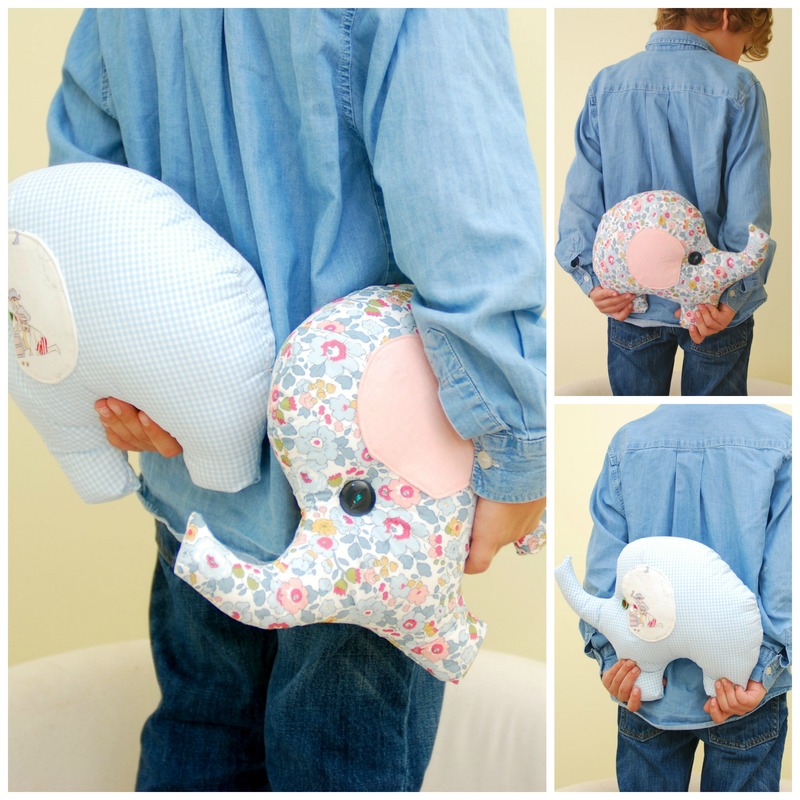 I’d really like to have this pattern: it’s so sweet and it would be my first Elephant!!! Ooh, these elephants are absolutely adorable! Your elephants came out so cute! 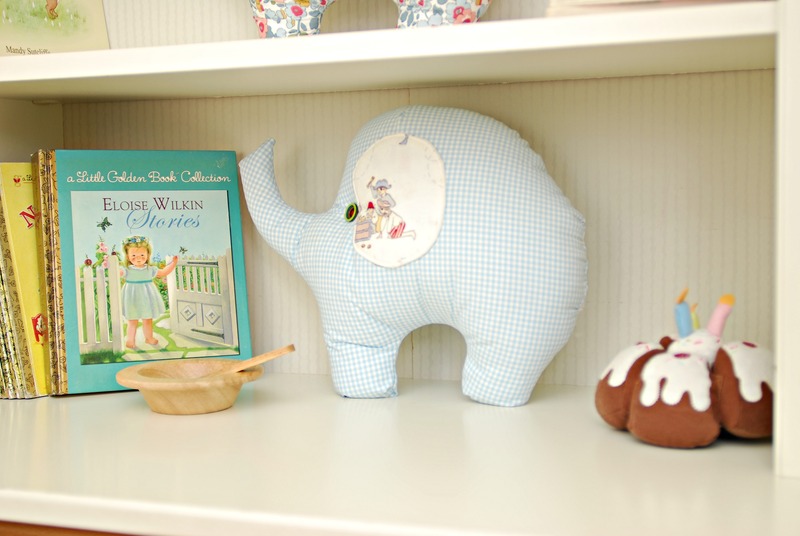 I’d love to make the elephant as a gift for my niece….she has a zoo animal themed room and this would be perfect! Your elephants are so cute and just precious that your kids helped make them! I would love to win a copy! I would make one for my 20 month old for Christmas as well as my 15 year old niece who loves elephants! These are so cute Ana Sofia! These would make perfect Christmas presents! I think your kids did a great job with fabric choices. My son would love Lucky the Elephant! So cute! Que giro os teus filhos terem realmente participado na execução dos elefantes! Ficaram girissimos e super perfeitinhos! Adorava fazer uns para as minhas filhas! The kids did a great job – I bet they had a blast! I love elephants and my granddaughters would just love these!. Yours turned out SO cute…. I have a 3yo who would love a sweet elephant friend for the holidays! I would love to make this! What a cute elephant, I’m always on the lookout for new patterns to try! I would love to sew some of these for Christmas! Adorava ganhar! Os elefantes estão tão giros! I want to win one to sew to my nephew. What a sweet little ellie! thank you for the chance to win the pattern! Cute project and a great gift idea. I have five special kids in my life that would enjoy a stuffed Eli. They’re adorable! I’d love to make one (or two, or…) with my 6-year-old son! Son unos elefantes super bonitos!!!. So cute – love the floral. Pretty and fresh looking! What a cute elephant! I’m a big fan of gingercake patterns! Lucky is adorable! I love elephants. So cute – would love to make these for my grandkids. Oh, sigh. Liberty Lawn. Lovely! Max the Owl is my favorite! I have made many of Virginia’s patterns but have not have had the chance to sew Lucky the Elephant. I would love to make some for the holidays. Thank you for the chance to win. My granddaughter would love the elephant. Your elephants are adorable! I would love love love to win this pattern! Love the elephants…they are TOO cute! Would love to make some for gifts. I love the elephants! I have used a few of Virginia’s patterns and love them! The instructions are very clear with lots of illustrations … you can’t go wrong! Hope I’m the ‘lucky’ one!! I have a few stuffed animal patterns in my stash… I just wonder if my nieces and nephews would actually play with them? Do your kids play with the elephants since they got to help make them? maybe I should just take a page out of your book and have the kiddos help me. thanks for the post! I found your blog through ginger cake. I had an elephant much like this one when I was small. It was white with pink polka dots and I loved it to bits. Or rather to threads because that is what it became. My mom took out the stuffing and we kept the shell as a pattern to make another but never did. Now, here is the pattern.